 Quantic Avocats is a “boutique” law firm entirely dedicated to intellectual property law, computer law, internet law and data privacy law. Founded by Emmanuelle Nahum and François-Xavier Langlais, the law firm supports its clients in the implementation of innovative projects. In particular, we assist our clients with issues related to copyright, trademark law, industrial design, patent law, IT contracts, personal data, domain names, and infringement.